Yokote (横手市, Yokote-shi) is a city located in Akita Prefecture, Japan. As of June 2013, the city has an estimated population of 94,728, and a population density of 137 persons per km². 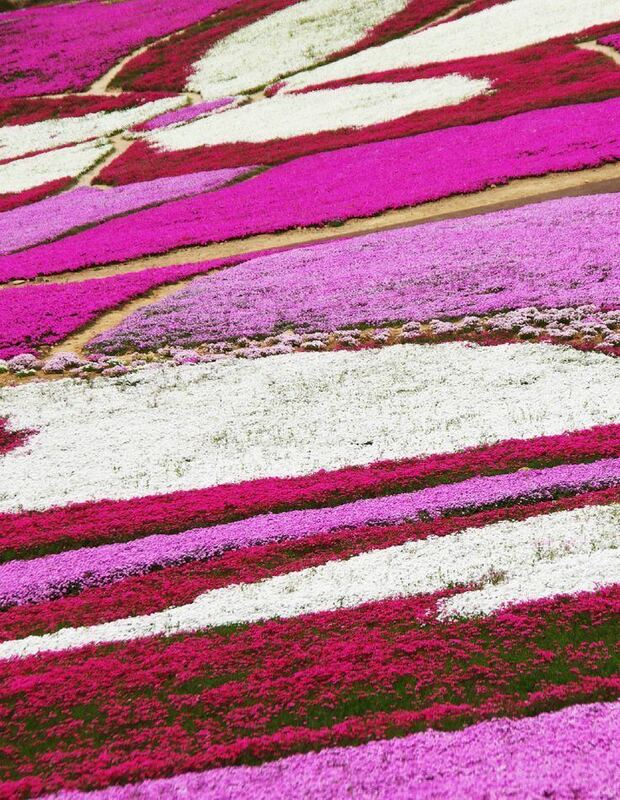 The total area is 693.04 km2 (267.58 sq mi). 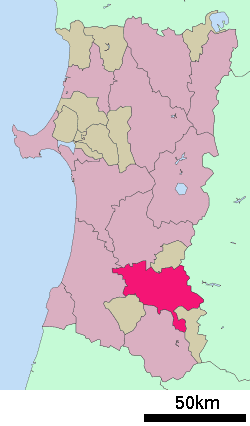 Yokote is located in southeast corner of Akita Prefecture by the Ōu Mountains and Iwate Prefecture to the east. 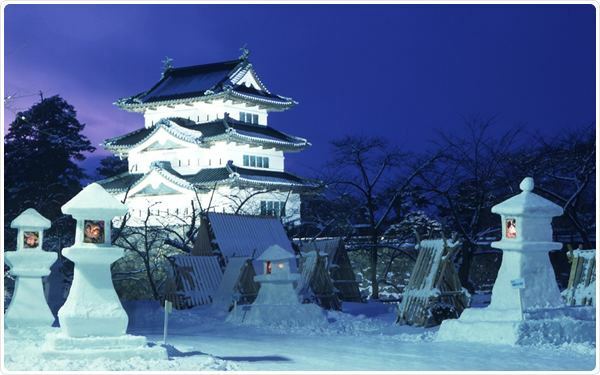 Yokote has a Humid continental climate (Köppen climate classification Cfa) with large seasonal temperature differences, with warm to hot (and often humid) summers and cold (sometimes severely cold) winters. Precipitation is significant throughout the year, but is heaviest from August to October. The area of present-day Yokote was part of ancient Dewa Province and was the homeland of the Kiyohara clan of the Heian period Gosannen War. At the end of the Sengoku period, the area came under the control of the Onodera clan, who ruled from Yokote Castle. However, the Onodera sided against Tokugawa Ieyasu at the Battle of Sekigahara and the area came under the control of the Satake clan, who had been relocated to Kubota Domain from their former holdings in Hitachi Province. Kubota Domain was uncommon in that it contained more than one castle, despite the Tokugawa shogunate's "one castle per domain" rule, and Yokote remained a secondary castle town under the Kubota clan until the Meiji restoration. After the start of the Meiji period, the area became part of Hiraka District, Akita Prefecture in 1878, with one town and 23 villages. The modern city of Yokote was founded on April 1, 1951. On October 1, 2005, the towns of Hiraka, Jūmonji, Masuda, Omonogawa and Ōmori, and the villages of Sannai, and Taiyū (all from Hiraka District) were merged into Yokote, which now occupies all of former Hiraka District, plus the villages of Meiji and Nishinarusei (formerly from Ogachi District), and the village of Kanazawa (formerly from Senboku District). The economy of Yokote is based on agriculture. Yokote is known for its Kamakura Festival, a midwinter festival in which igloo-like snow houses are made throughout the town. It is held in the days leading to the Bonden Festival (mid February) and its location is focused around the city hall area. Children and others sit in the kamakura and serve amazake and mochi to visitors. 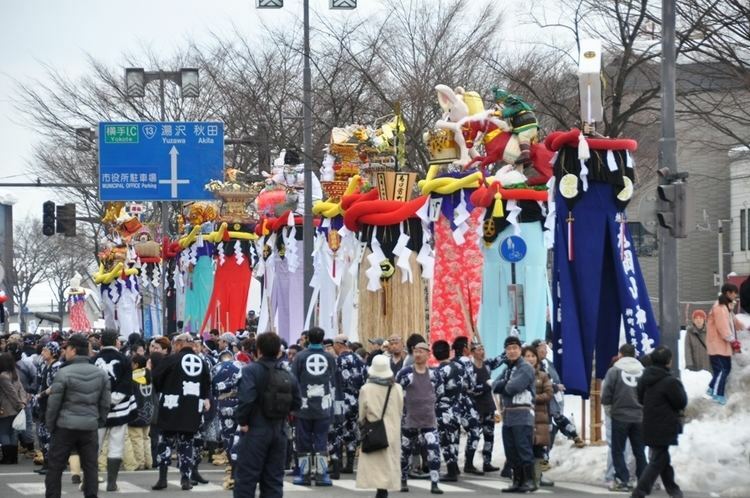 In addition, several stalls are situated around town serving other types of typical Japanese festival food, including the town's own meibutsu "Yokote yakisoba". An altar for the water deity is carved into the rear of the room inside each kamakura, where people pray for abundant harvests, the safety of their family members, protection against fire and for academic success. 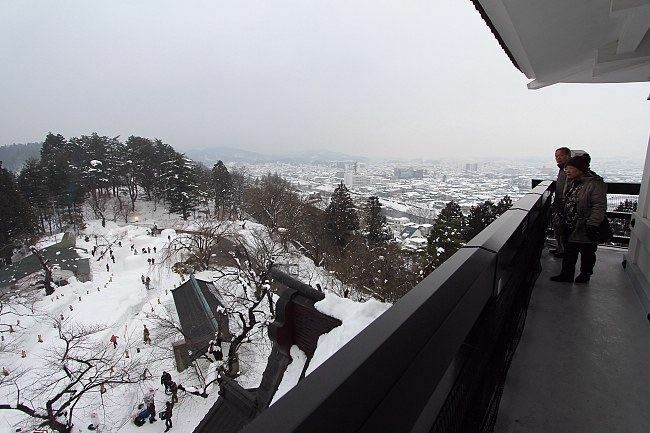 In addition to the large igloos, there are mini-kamakura which are spread throughout the city. 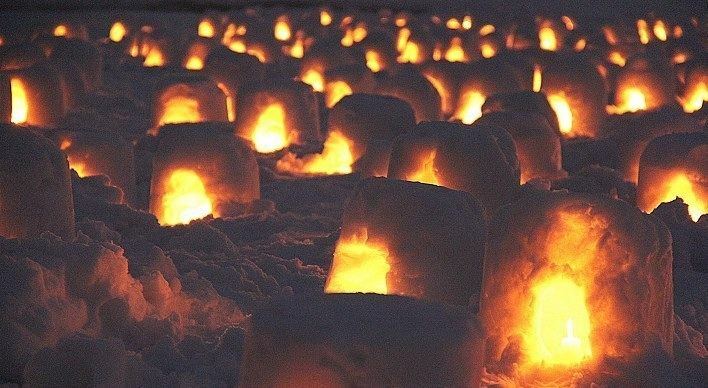 There are candles Inside the tiny snow domes. Some of the regular kamakura and the mini-kamakura are sponsored by local businesses and can sometimes look like an advertisement for a product (like a cell phone). The kamakura can be experienced year round in a building adjacent to Yokote City Hall called the Kamakura-kan. Inside, there are a few kamakura kept at a temperature of 10 °C (50 °F) and are open to visitors. Yasushi Sasaki – movie director.